« What’s in It for Us? 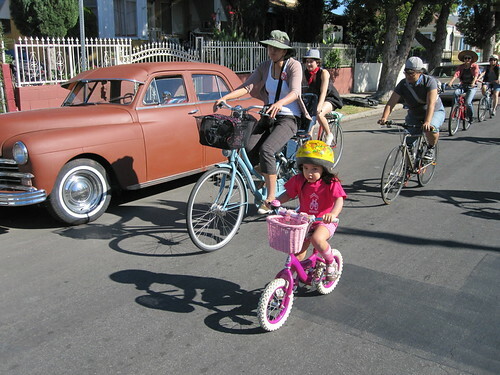 If you’re looking to buy a kiddie bike or a kid’s helmet this winter, look no further than Flying Pigeon LA. 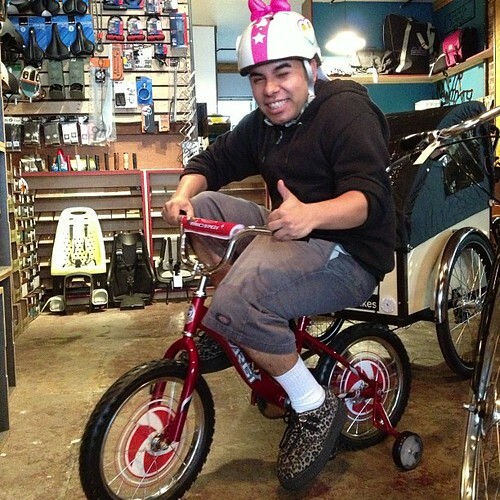 We are carrying (until the end of December) a line of Micargi Kiddie bikes in 12″ and 16″sizes for $60 a pop, fully assembled and covered with our maintenance warranty (1st year of tune-ups free). They come in a bunch of different colors and are built to a low-end big-box store specification – but we assemble ours with careful attention. Kids ride these low end Micargi bikes until they graduate to bigger and better stuff (i.e. the Lil Linus coming in Spring of 2013!). 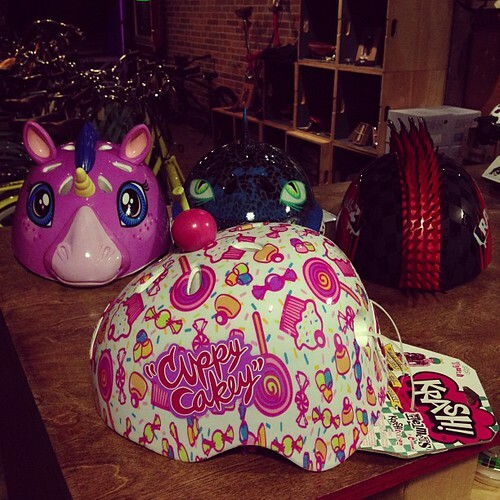 We also have some awesome helmets for kids. 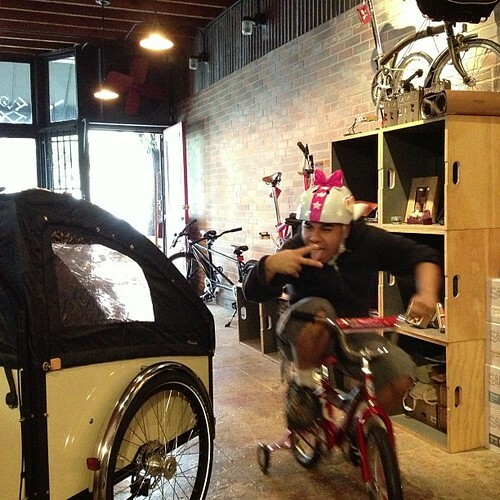 Our line of Lil Nutty’s from Nutcase are some of the best kids helmets we’ve seen. They fit a 3 year old and can be expanded to just shy of a small adult size. They have a no-pinch chin strap and really fun colors and patterns. $50 but worth every penny. We just picked up some off-the-wall kids helmets from C-Preme. These are made for 3 and 4 year old (and up) head sizes. $25 each. Gilbert from Antigua Coffee approves.